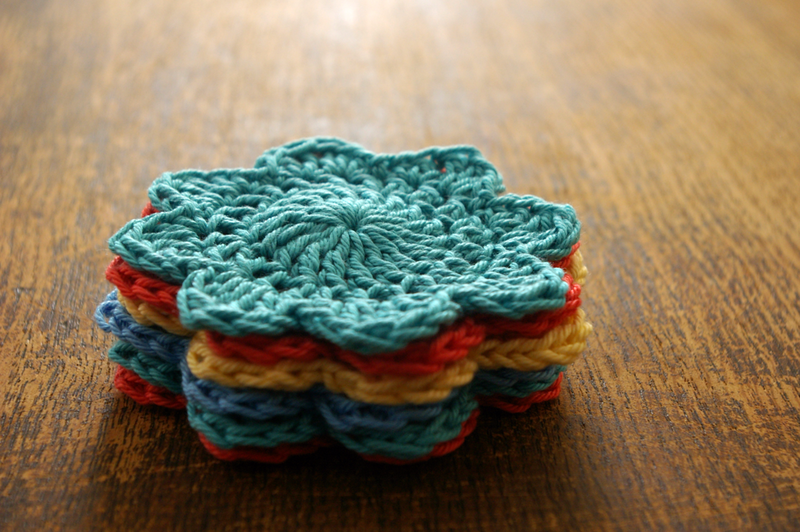 check out these beautiful crochet coasters I made yesterday! they were quick and easy to make and so jolly! 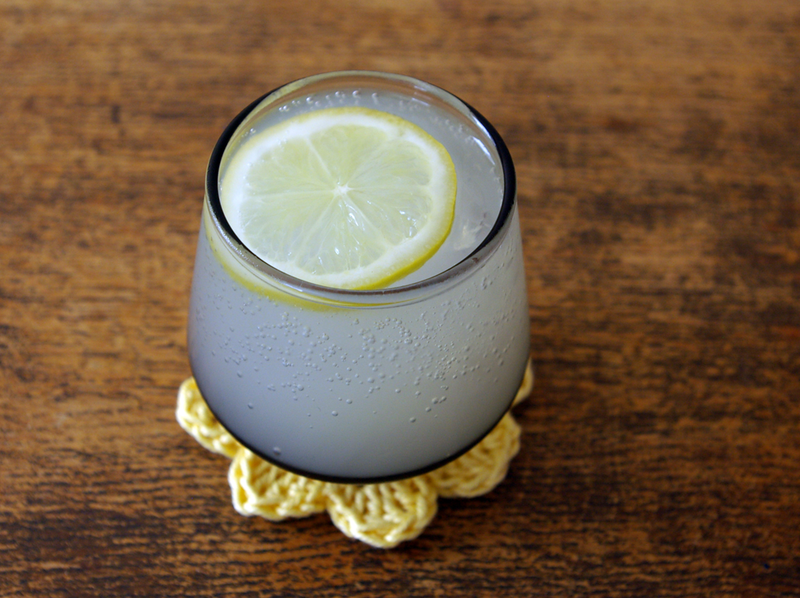 also they are much better than the glass coasters I was using at home which were heavy and sharp and would stick to the bottom of the glass! 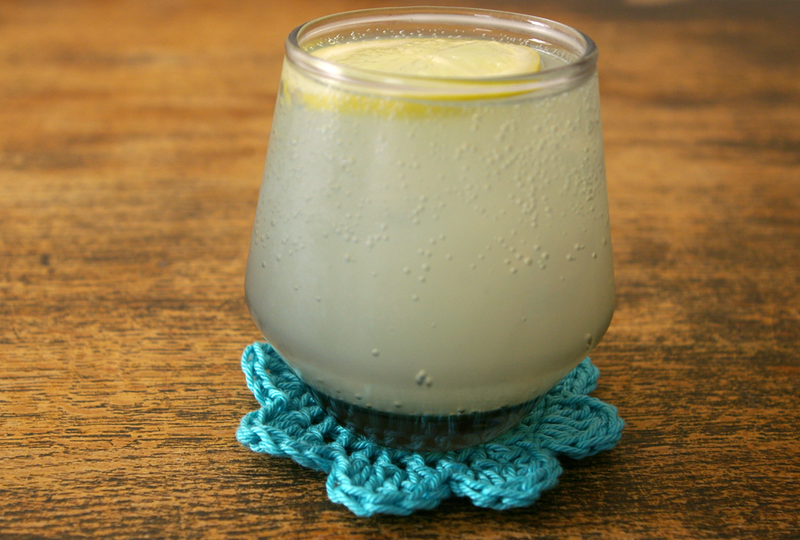 for all your table top protection needs crochet coasters are definitely the way to go! and the vibrant colours really do brighten up our home! 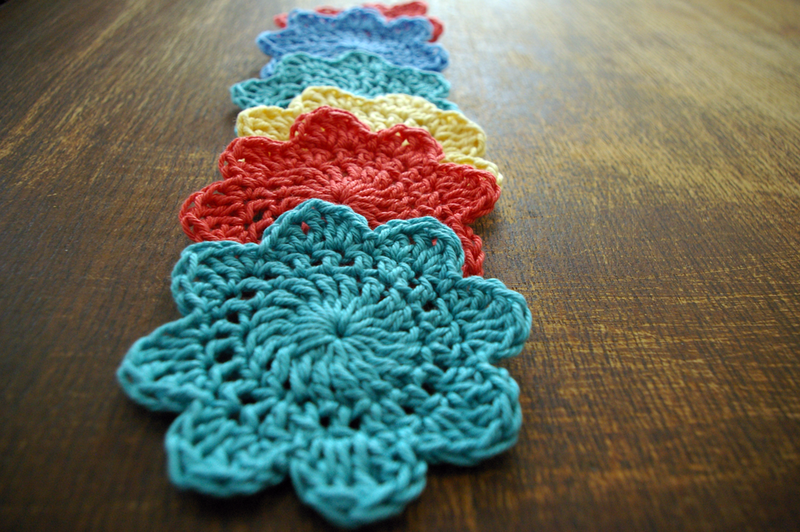 The pattern I used was adapted from this one here, I just added an extra row of double crochets (24 stitches in total) to make them slightly bigger! 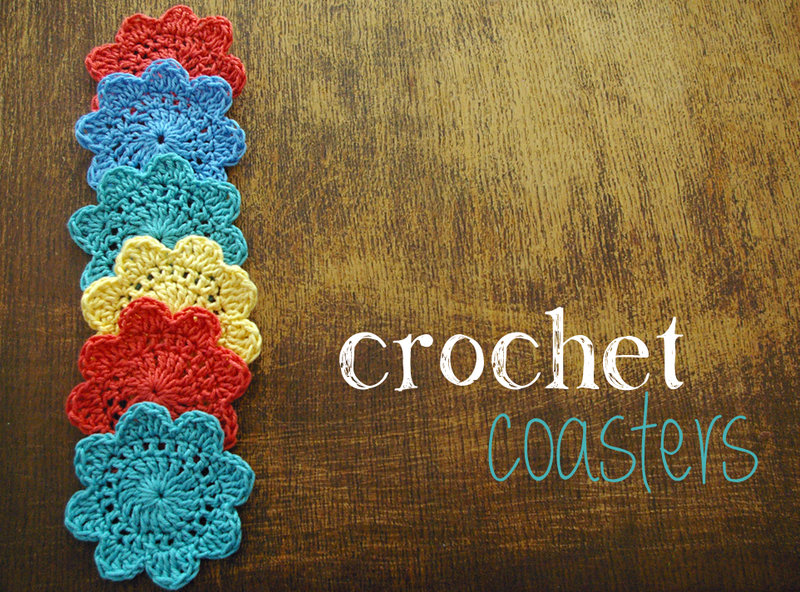 This entry was posted in crochet and tagged craft, crochet coasters, DIY, handmade coasters. Bookmark the permalink.